2016 TOYOTA HIGHLANDER XLE 4WD !!!! HERE IS A SUOPER CLEAN HIGHLANDER IN BLIZZARD PEARL WHITE WITH A CLEAN CAR HISTORY !! HEATED LEATHER SEATS,FACTORY NAVIGATION W/BACK UP CAMERA, REAR CLIMATE CONTROL,PWR LIFT GATE,FOG LIGHTS, HANDS FREE BLUETOOTH !!! This vehicle is Auto Connection NO-HASSLE GUARANTEED with NO HIDDEN CHARGES! Document processing charge $110 plus PA taxes, tag, and title only, OR doc processing plus your home state only. 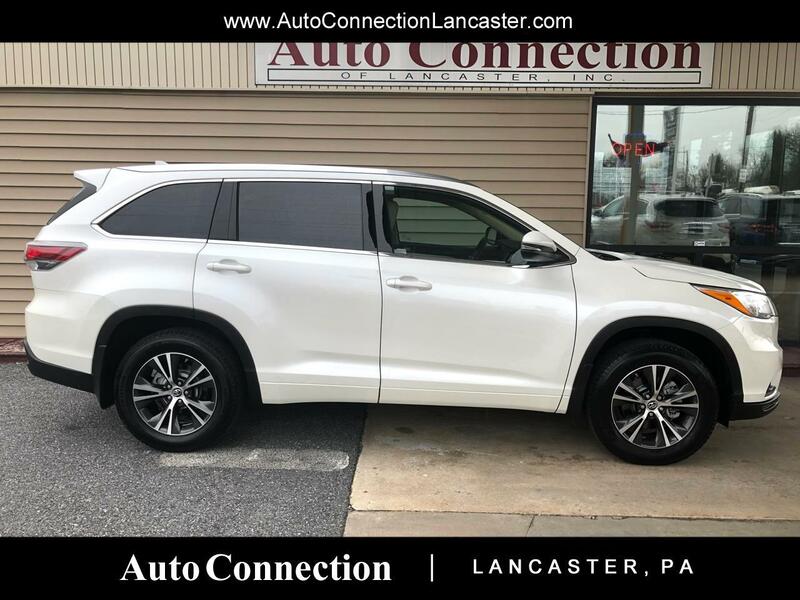 Visit Auto Connection of Lancaster online at aclcars.com and call 717-824-3789 or email sales@aclcars.com to schedule your test drive today. Message: Thought you might be interested in this 2016 Toyota Highlander.